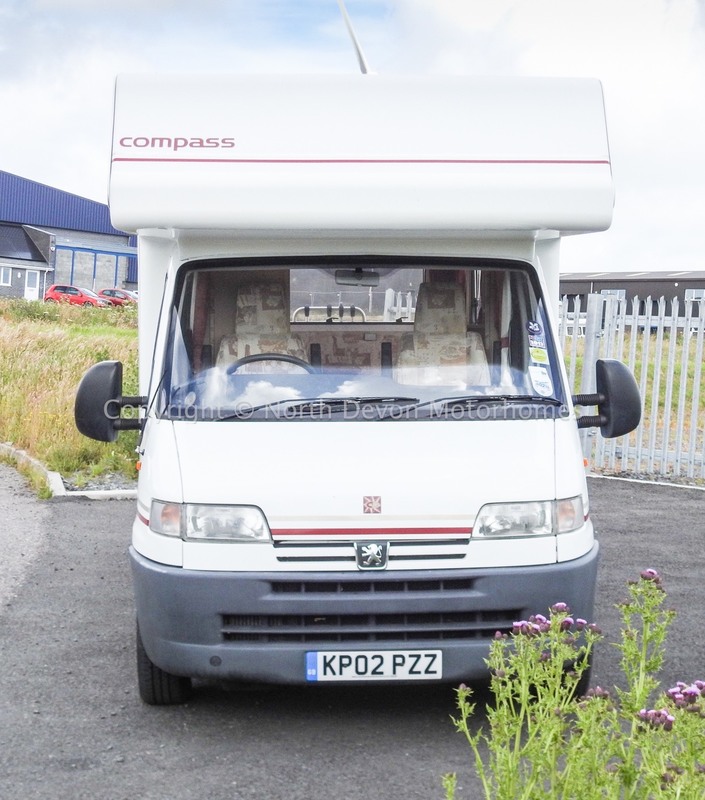 A fine example based on a 2002 (02) Peugeot 1.9 TD showing just under 40,000 Miles. 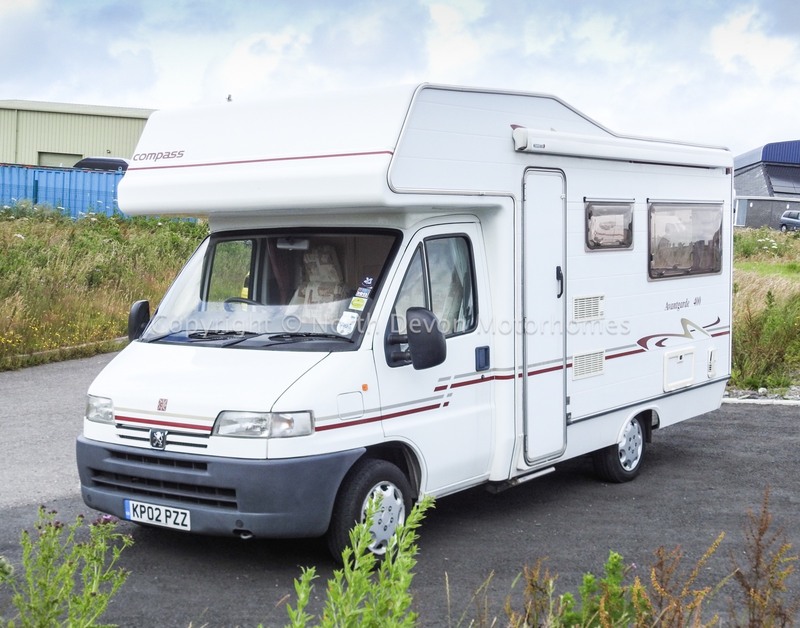 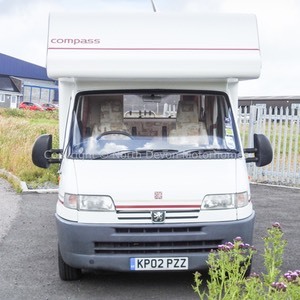 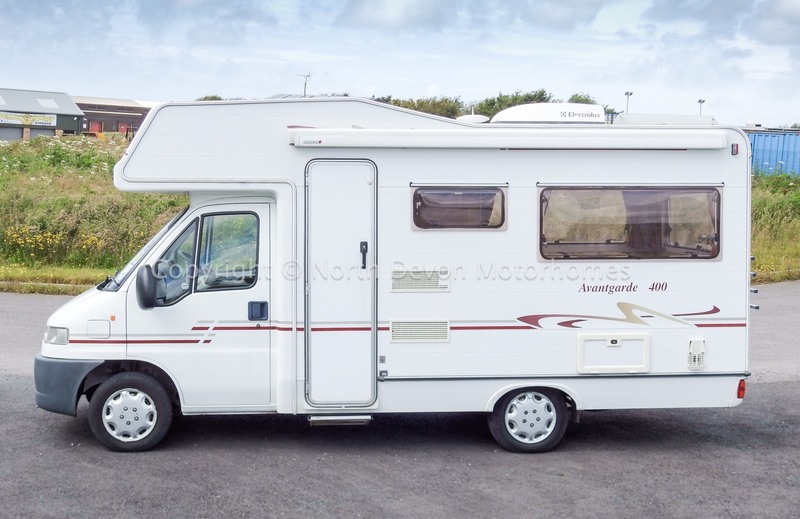 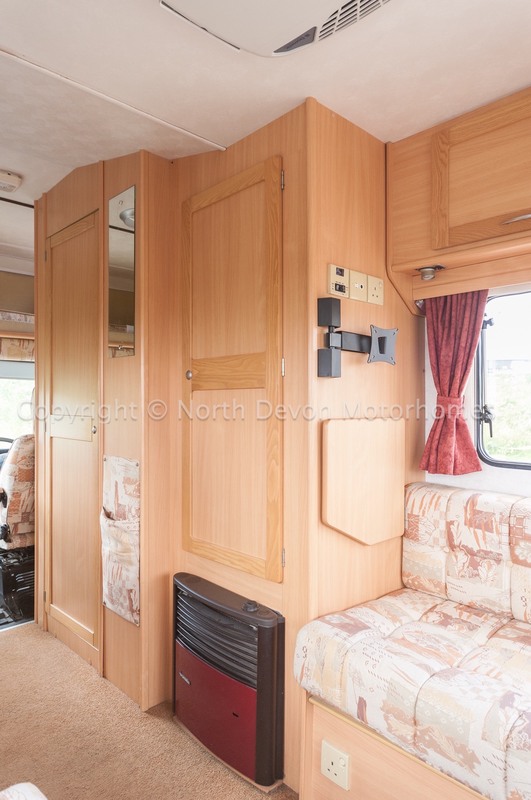 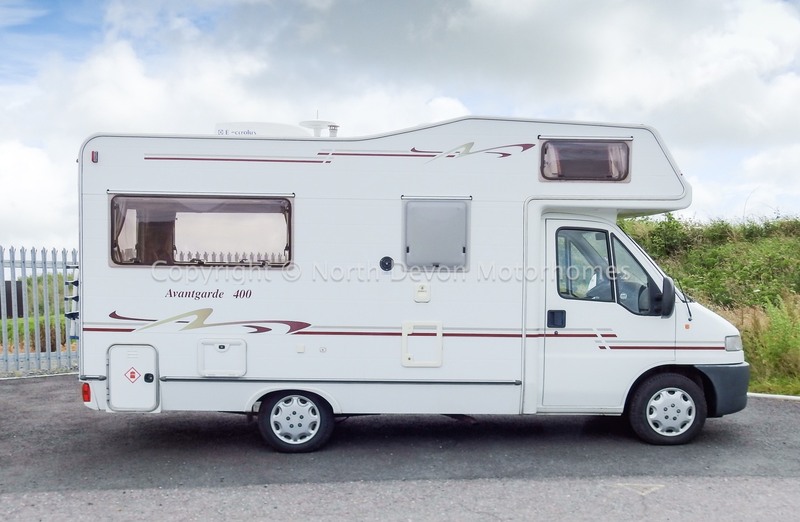 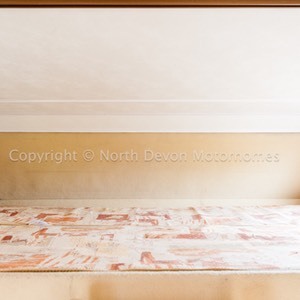 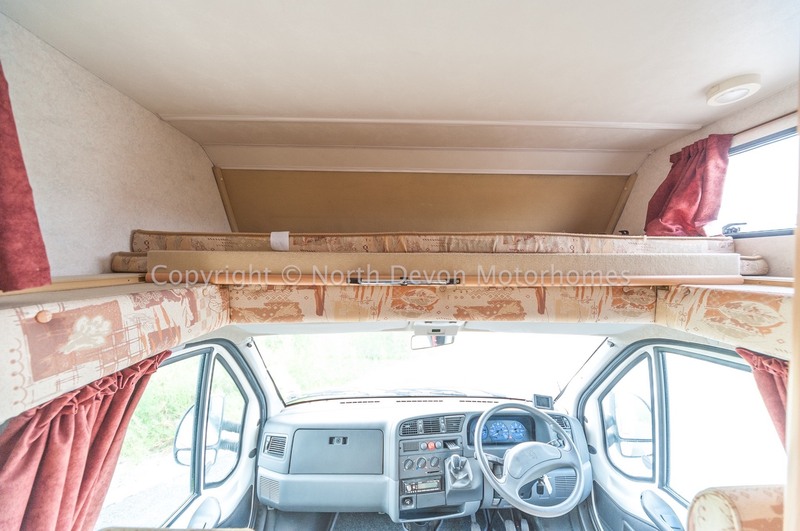 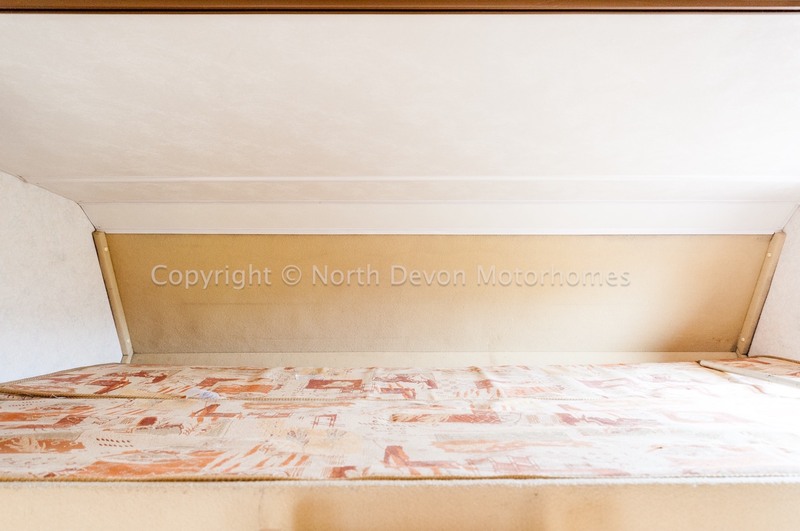 A comfortable practical sized motorhome at 19 FT. Favoured end U shape lounge, 4 berth with double bed over the cab. Loaded with extras such as Awning, Bike rack, Reversing Camera, Safe, etc. 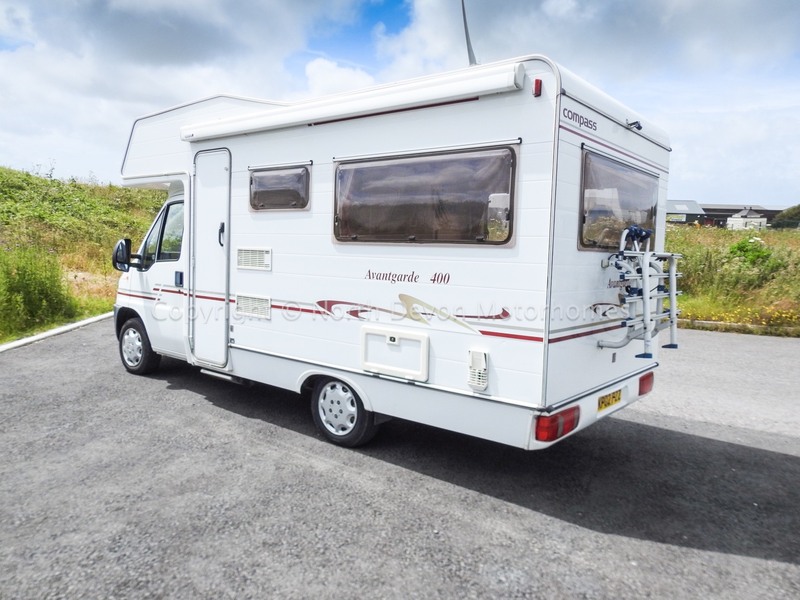 Very good all round condition for the year. 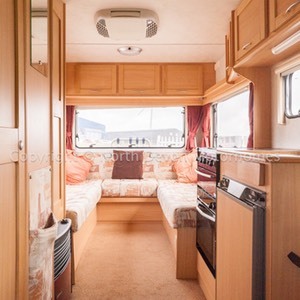 Favoured U shape rear lounge, central kitchen with opposing washroom, fixed double over cab bed which folds away giving more headroom to cab area. 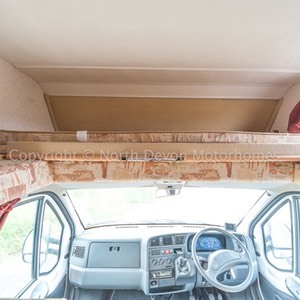 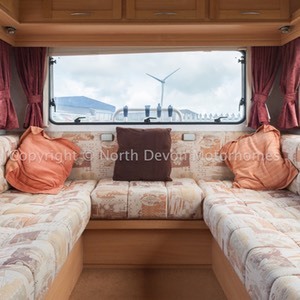 4 Berth, fixed double over cab, lounge converts to double or 2 singles. 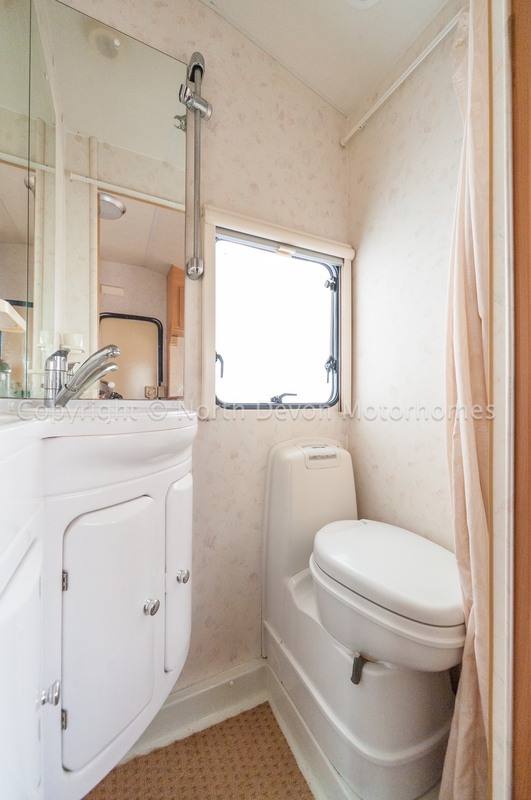 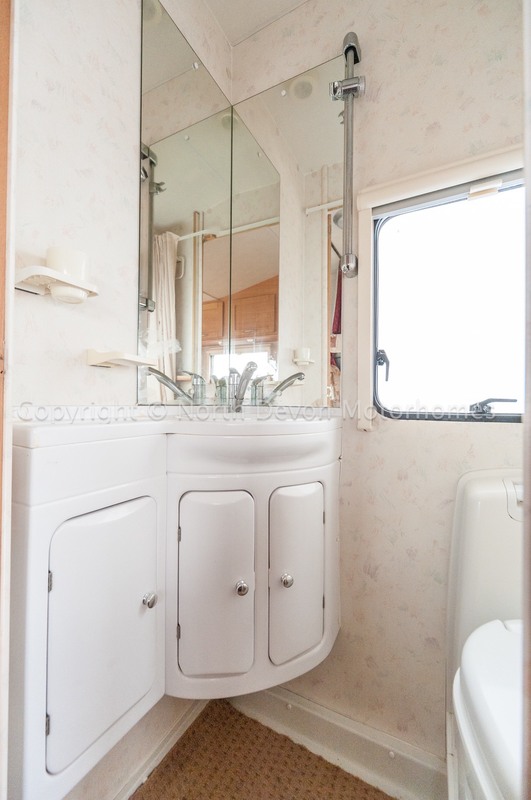 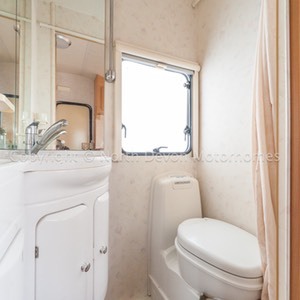 Shower, cassette swivel base toilet, wash basin with vanity mirror over with built in storage under, obscure window, net and blind. 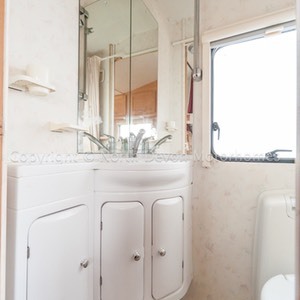 Bright and airy seating, TV station, overhead lockers. 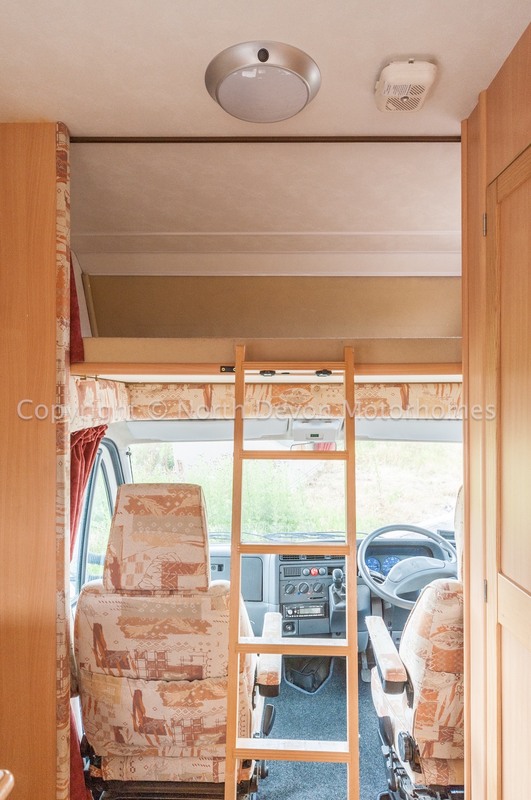 Folding table, Hab aircon unit. 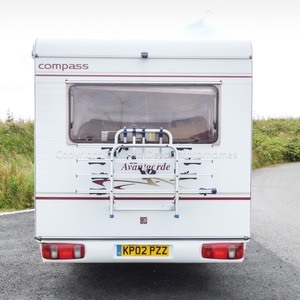 Awning, bike rack, Trumatic fire, Truma hot water boiler gas and electric. 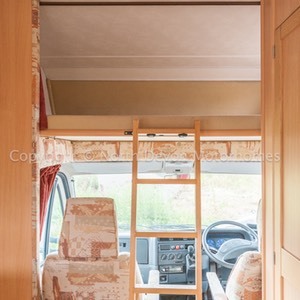 Windows with blinds and curtains. 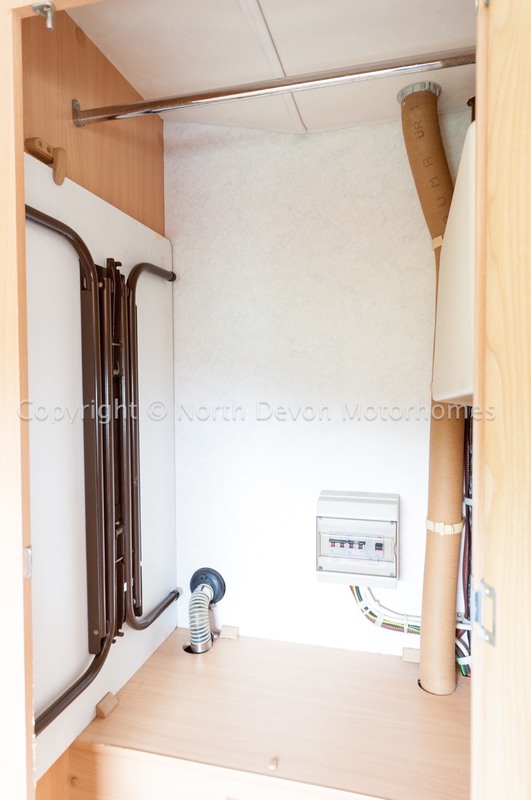 On board waste and freshwater tanks, Status TV Aerial. 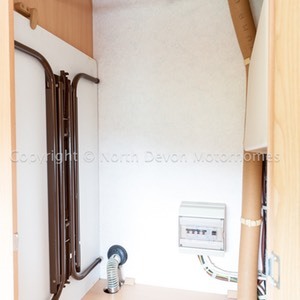 Strong hidden safe. 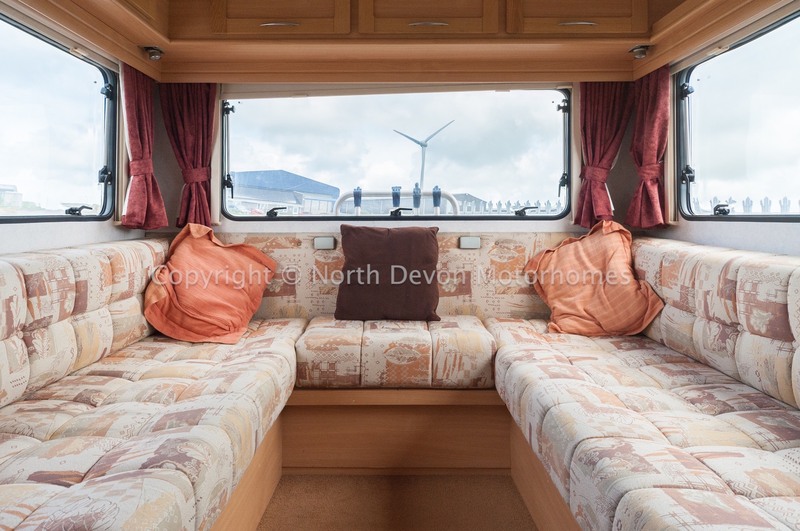 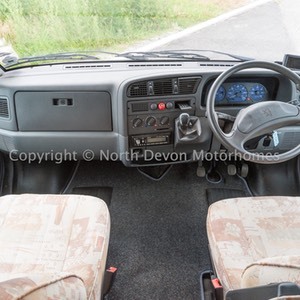 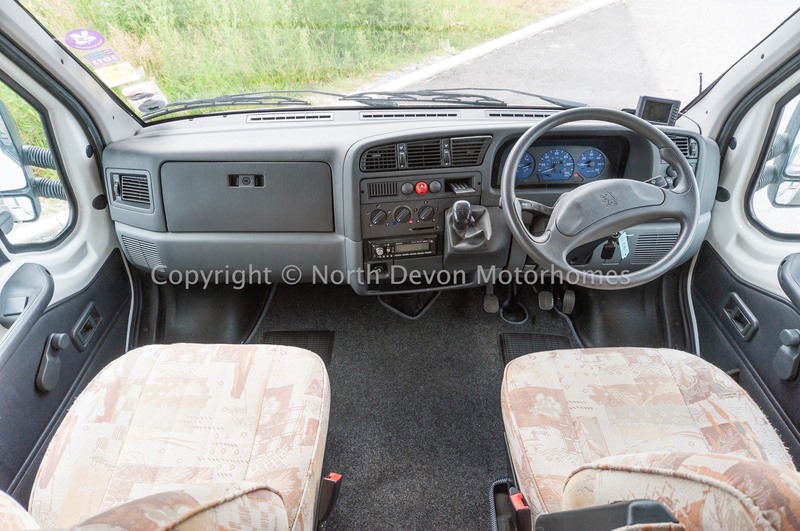 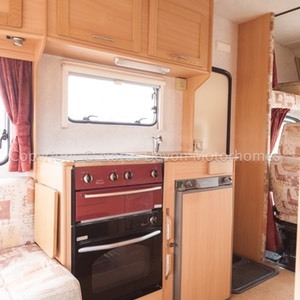 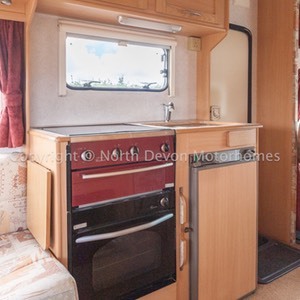 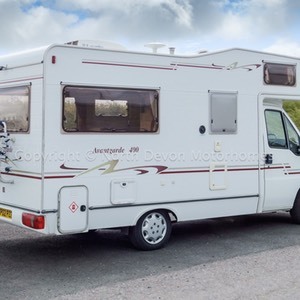 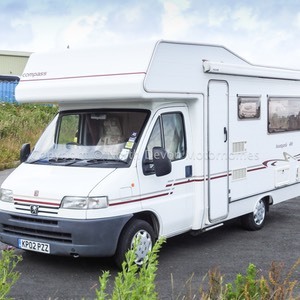 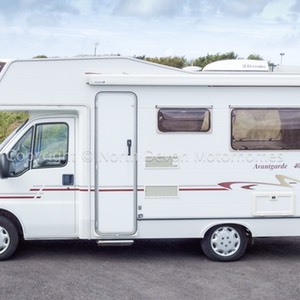 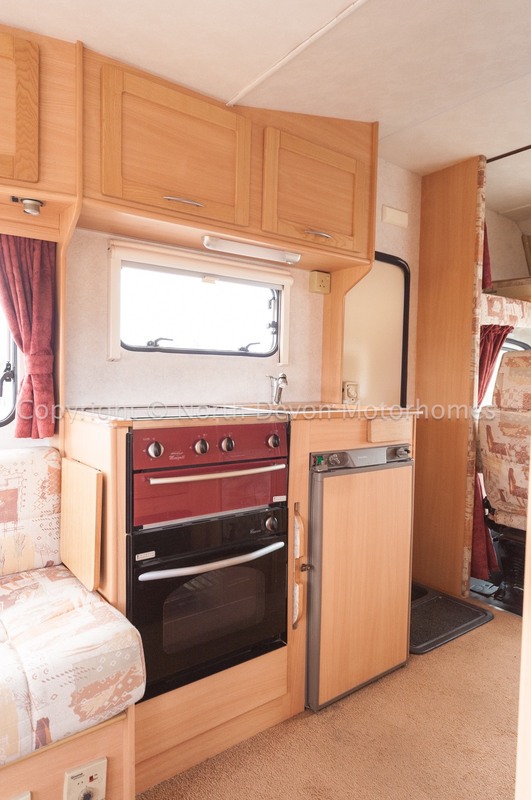 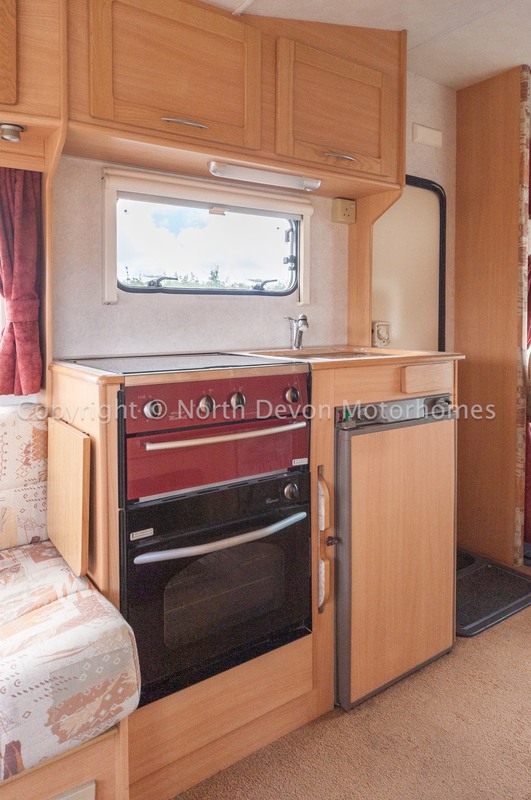 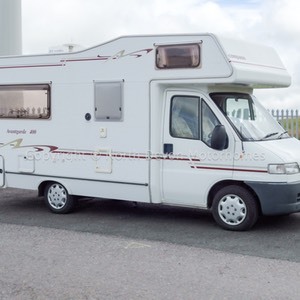 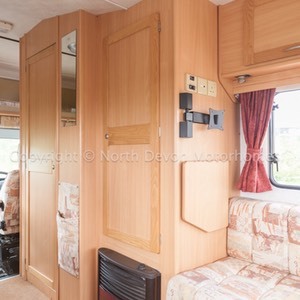 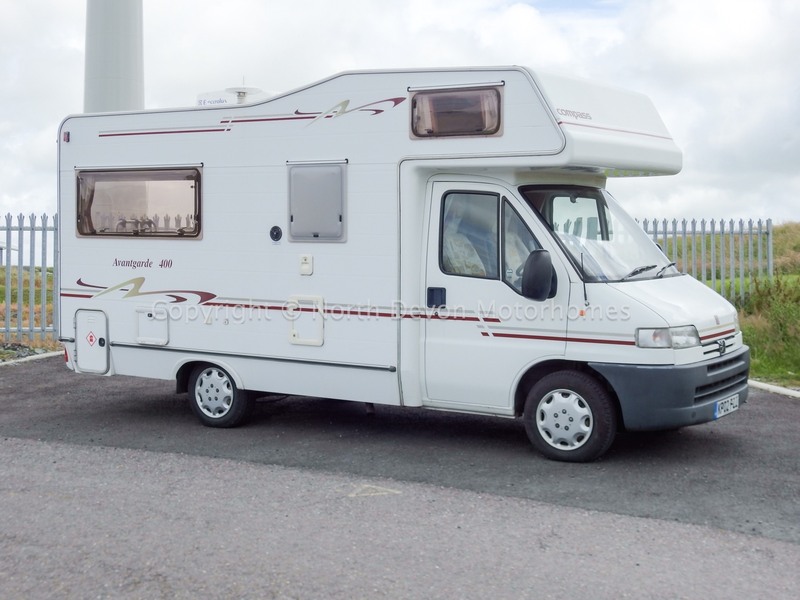 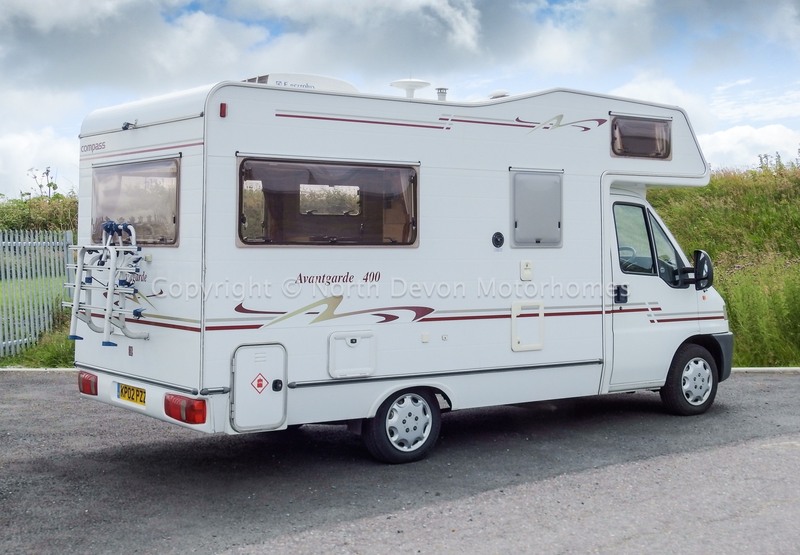 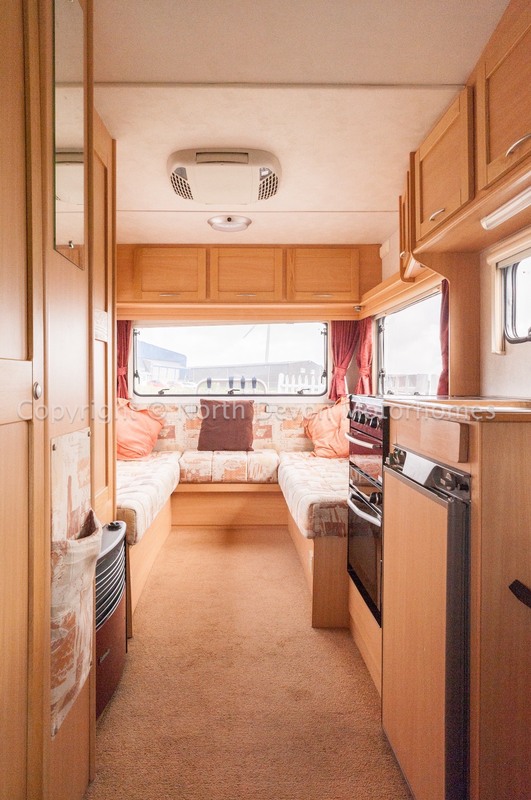 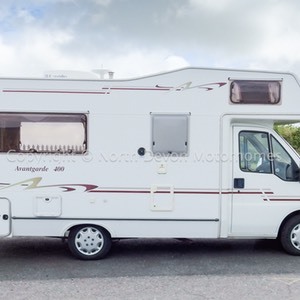 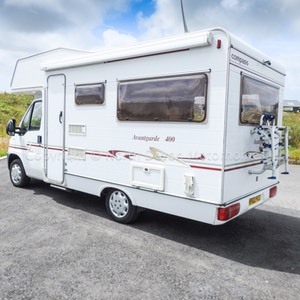 Bright and airy sensible sized 4 berth motorhome, excellent driver and value, well worth a look.